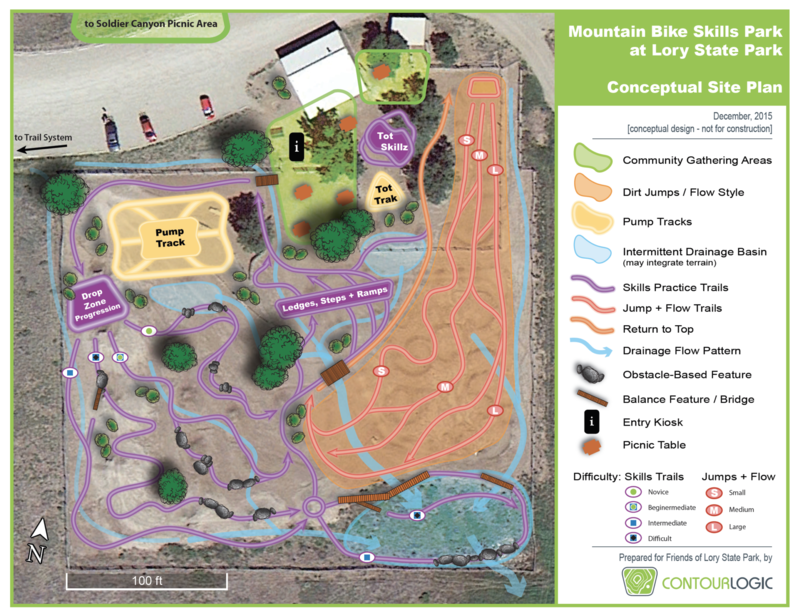 The Friends of Lory State Park is conducting a major fundraising campaign for the construction of a revitalized regional mountain bike skills training park for youth and adults at Lory (click for full view). The facility would replace the aging and outdated 70,000 square foot bike skills park that currently exists; and would also serve as a trailhead, a venue for special events, and a location for annual youth, family and adult cycling programs. The total estimated cost of the project is $95,000. As an enterprise agency, Colorado Parks and Wildlife does not have the funding to allocate for this project. Working with a project planning team that included Park management, bike park specialists, riders and advocates, the Friends group commissioned a conceptual design that contains space and features appealing to families and youth, as well as skilled adult riders. The design incorporates a Tot Lot, a pump track and several flow trails of progressive technical difficulty as well as neat, modern drainage, native landscaping and shaded viewing areas for spectators. Lory State Park hosts various annual mountain bike competitions that engage riders from beginner strider bikes, such as Ciclismo Youth Foundation’s Rocky Mountain Challenge, to family events such as Take a Kid Mountain Biking Day, mountain bike skills classes presented by the REI Outdoor School, and advanced cross country races such as Tooth or Consequences, sponsored by Overland Mountain Bike Club. Contributing to the overall bike park experience, Lory State Park is updating and expanding its adjacent Soldier Canyon Picnic Area to provide a more comfortable visitor experience. Updates include a remodeled stage and picnic area, an electrical source, better drainage and an improved water source. Plans for maintenance and regular improvements over the long term involve a team of volunteers, who will be working alongside professional builders during the construction phase to learn the skills for ongoing maintenance and daily operation. 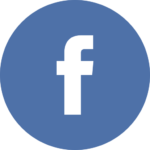 Interested in contributing? Click the button below to make a contribution to the Mountain Bike Skills Park Project at Lory State Park, and Thank you!